Good things come to whom? 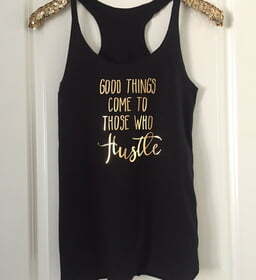 Those who hustle, of course - according to this girl power shirt. Are you a hustler? Let everybody know it. And hustle along, now.